Amazon just pulled back the curtain on its second-generation Amazon Echo Dot, an Alexa-enabled device that’s a fraction of the size and price of the Amazon Echo. Between those two and the Tap, there are now three viable choices in Amazon’s Alexa lineup. To help you cut through the noise, here’s everything you need to know to compare the three devices. 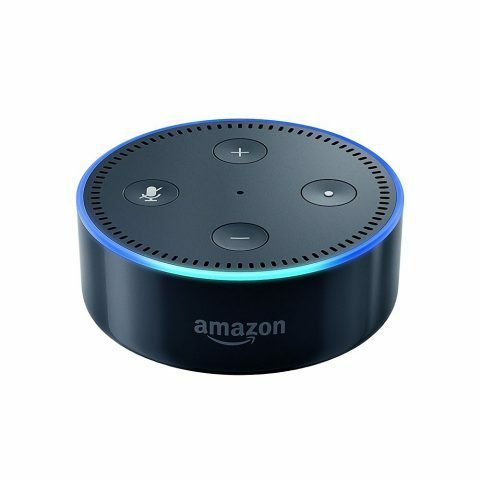 Features: The second generation Amazon Echo Dot delivers many of Amazon Echo’s coveted features in an affordable package that’s just over an inch tall. Uses: The Dot has a small built-in speaker, and you’ll get better audio quality by pairing the device with another speaker, but when it’s not, the Dot functions as a “voice-controlled computer.” Use it to stream music; perform web searches; manage calendars and other apps, such as Uber and e-readers; order food; control smart home elements, such as lights and thermostats; and more. Activation: The Dot responds to spoken commands. Audio enhancements: It’s equipped with seven far-field microphones, so it can pick up your voice from across a room. It can also hear your requests when playing music and without being connected to a speaker. Good fit for: Consumers who want voice-enabled, hands-free speaker functionality in any (or every) room. Amazon is also selling the Dot in a package with the Bose Soundlink Mini II for a little more than $200. Features: The Tap is an Alexa-enabled, portable Bluetooth speaker. The Echo Dot may work in any room, but the Tap is best known for its ability to work practically anywhere. Uses: Like the Dot, the Tap can deliver the daily news, order you a pizza, provide weather reports and more when connected to Wi-Fi. It can also stream and play from services such as Prime Music, Spotify and iHeart Radio via Wi-Fi, and from your phone or tablet with its Bluetooth technology. Activation: The Tap isn’t hands-free. To speak to Alexa, press the microphone button on the front of the speaker. Audio enhancements: It has dual stereo speakers for omnidirectional audio. Good fit for: Music listeners who crave voice-activated speaker functionality outside the home. 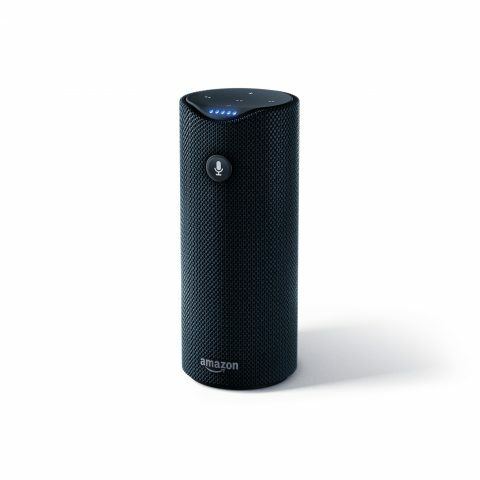 The Tap is the most mobile of the Alexa-enabled speakers and has up to nine hours of battery life. Amazon also sells silicone slings for the device — for $19.99 — that make it easy to transport. But you’ll need Wi-Fi access to use many of the Tap’s best features. When you’re away from a connection, you can connect directly to your phone if you have cell service. 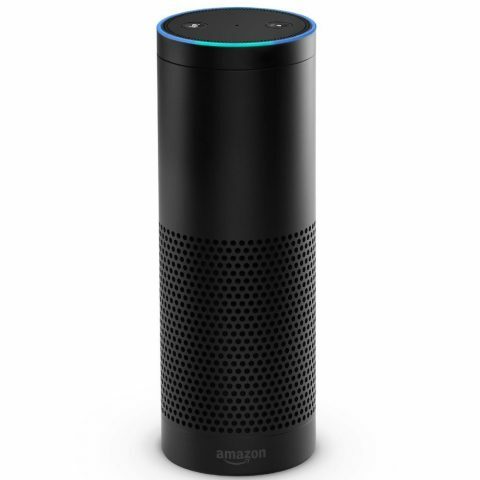 Features: The Echo is a speaker and home automation controller, and is perhaps the pinnacle of the Alexa lineup. Uses: It streams music, plays room-filling audio, controls home smart devices and fulfills search queries. Just ask it to tell you a political joke or place an order on Amazon. Activation: The Echo is voice activated. Once you signal a command with “Alexa…,” the blue ring at the top of the speaker will illuminate and the speaker will fulfill your request. Audio enhancements: Similar to the Dot, the Echo can pick up your voice from across the room. But unlike the Dot, you don’t need to connect it to an outside speaker. The Echo has a 2.5-inch woofer and 2.0-inch tweeter to deliver its own sound. Just plug it into a power outlet, connect to Wi-Fi and you’re ready to go. Good fit for: Consumers who want a centralized smart home controller and speaker all in one. The Echo is the most expensive of the three Alexa-equipped products, but it doesn’t require any supplementary purchases. Place it in your living room, and it’ll quickly become part of your daily routine. Each model in the Alexa series offers something different. The Echo Dot is a mini voice assistant. The Tap is a desirable travel buddy. The Echo is a centralized smart home speaker. Still didn’t find what you’re looking for? If you aren’t interested in the Alexa line’s fancy voice features, check out NerdWallet’s roundup of the best Bluetooth speakers.